Bushwick has the most Spanish speakers of any neighborhood in Brooklyn. Bushwick has the most Spanish speakers of any neighborhood in Brooklyn. Around 70,000 people - accounting for over half of the neighborhood - speak Spanish at home. This includes people who speak both English and Spanish, as well as those who only speak Spanish. 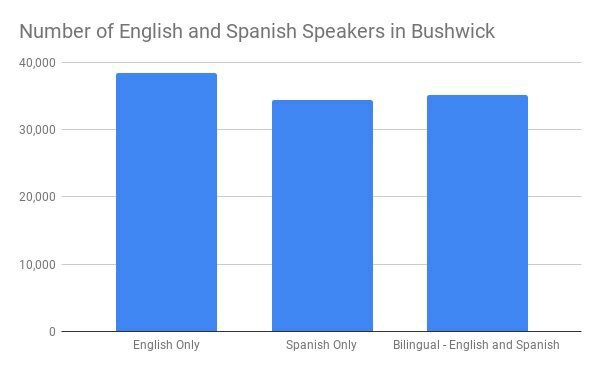 As the figure below shows, there are similar rates of Spanish-only, English-only, and bilingual residents in Bushwick. 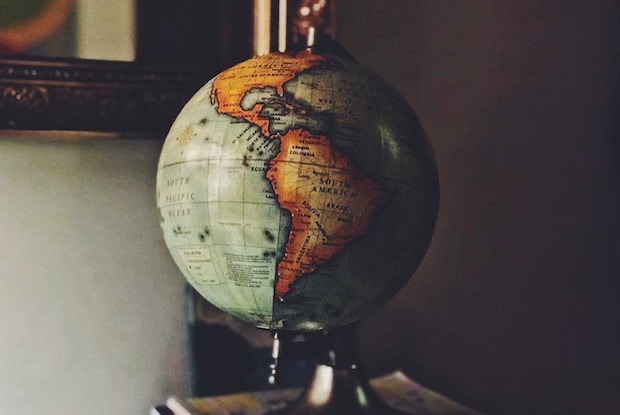 Of those that speak Spanish at home, about half indicate that they speak English “less than very well,” meaning that there are around 35,000 people in the neighborhood who only speak Spanish. And about 38,000 people in the neighborhood that only speak English. Other neighborhoods in Brooklyn still have plenty of second languages spoken. In Community District 7, comprised of Sunset Park and Windsor Terrace, for example, 75 percent of residents speak a language other than English - the highest rate of any neighborhood in Brooklyn. Around 40 percent of residents, equating to around 50,000 people, speak Spanish. An additional 25 percent of residents speak Chinese. However- no neighborhood has more Spanish speakers than Bushwick. 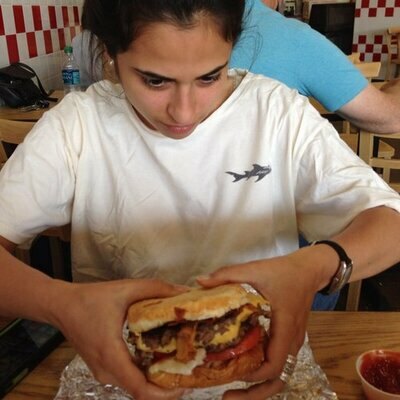 Once you venture out of Brooklyn, though, that isn’t the case. Washington Heights takes the crown for the neighborhood with the most Spanish speakers in all of NYC. Out of the 145,000 people that live there, around 135,000 - over 90 percent - speak Spanish. This is according to data from the 2011-2015 American Community Survey, the most recent version of the survey that contains data on languages spoken in New York City’s community districts.